Greenville Financing And Insurance - Dr. William W. Brown, Jr.
Do you want to save money when you need dental work? Do you want to be able to come in for regular 6 month check-ups but find without dental insurance it doesn’t fit into your budget? Our Dental Savings Plan is a way for you to save on every visit to our office. Call us today for information. We will be glad to send you a brochure outlining the details of the plan. We look forward to serving your dental needs even if you do not have insurance to help defray the cost. On patient financing here in the office; of course one of the things we try our best to do is get good accurate information on their insurance. If they have dental insurance, we want to get as accurate information as we can so we can estimate things well for them. One thing we are constantly talking about with that end of the practice is we don’t want patients to have surprises. We want them to know what to expect, try to give them as good an estimate as we can with their insurance. That can be interesting at times dealing with their insurance companies because they’re sometimes a moving target. But we do file folk’s insurance, we estimate what their copay should be and have them pay that at the time of service, but then we have the insurance reimburse us. It’s interesting when it comes to insurance, there are all the time, CE courses, continuing education courses out there of people giving their recommendations. A big thing that was going around a few years ago was, have the patients pay it all up front and let the insurance reimburse them. Well, that’s not real customer service related and there are folks who tried that and found out real quickly that didn’t work so well. So we file the insurance, do the paperwork, and when it comes to what the patient’s portion is, whether they have insurance or not, depending on what they need, sometimes that can be more than what you want to write a check for out of your checking account this week. The primary financing option we use is something called Care Credit, it gives some great interest free options so it’s a great way to break down some bigger expenses that way. We’re always looking for new things; and we’ve had some other programs like Care Credit, we still use some of them but Care Credit seems to be the one that we get the best approval from for patients. We’re always looking for new things that we can do to help patients in that area. We’re actually looking at an inoffice discount plan of some kind especially for our patients without insurance. That topic has come up before so that’s something we’re looking at and maybe something we can offer here in the near future. Just one more option for folks to kind of get a little bit of a savings, a little bit of a break on things and plus, it benefits us because folks keep coming to see us that way too. The big thing with financial things in the office is we like patients to know what to expect. There’s nothing like coming in and thinking you’ve got a hundred dollar thing you’re having done and walk out front and the ladies tell you it’s five hundred dollars. Surprises like that are not good. That’s at the top of the list of what we don’t want to happen here at our office. Dental insurance can reduce your out-of-pocket expenses significantly, depending on the type of procedure. Most plans, however, do not cover 100% of the costs of dental treatments. The reimbursement for a dental crown may be smaller than the reimbursement for teeth cleaning, for example. Our staff can help make sense of your insurance plan and answer all your payment questions. We also handle paperwork and processing. Our insurance experts will sit down with you, go over your dental plan and try to make the plan work to your advantage (maximize reimbursement and reduce out-of-pocket expenses). Brown Dental Associates accepts financing through CareCredit, a payment program that covers 100% of your dental fees with no down payment, annual fees, interest, upfront cost or pre-payment penalties. CareCredit is like a healthcare credit card. Treatment can begin immediately, and payment is made in budget-friendly monthly increments. Procedures that may not be covered by dental insurance are included, and you can choose from a number of plan options under the program. Other benefits include 0% interest if you pay within 18 months and low minimum monthly payments. 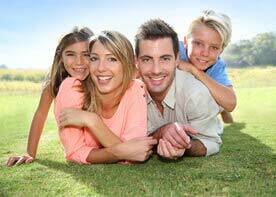 Learn more about dental insurance and dental financing. Call us at 864-408-8873 or schedule an appointment using our online form.